If a woman was sent a letter asking to be the wife of a man she had never met before, what would her response be? In today’s world, the answer would most likely be “no,” but what about the women of history? But what about the women who lived during the time of the Wild West who more than likely didn’t have a choice? The characters within Cindy Caldwell’s self-published Amazon series Wild West Frontier Brides faced very similar circumstances, but with light-hearted stories behind those circumstances. After the bakery she worked at closes, Clara Martin believes the only option she has is to move to New York. However, after remembering a letter that was sent to her, she takes the next train to move down to Tombstone, Arizona. What is in Arizona? Hank Archer: a rancher, a horse wrangler, the only son of the Archer family… and Clara’s soon-to-be husband. To inherit the property promised to him by his grandfather, Hank must marry, but his father has other plans for him as soon as he is married, plans that conflict with his dream of training horses for others. When these two young people meet for the first time, Clara discovers there is more to the arrangement than first imagined. 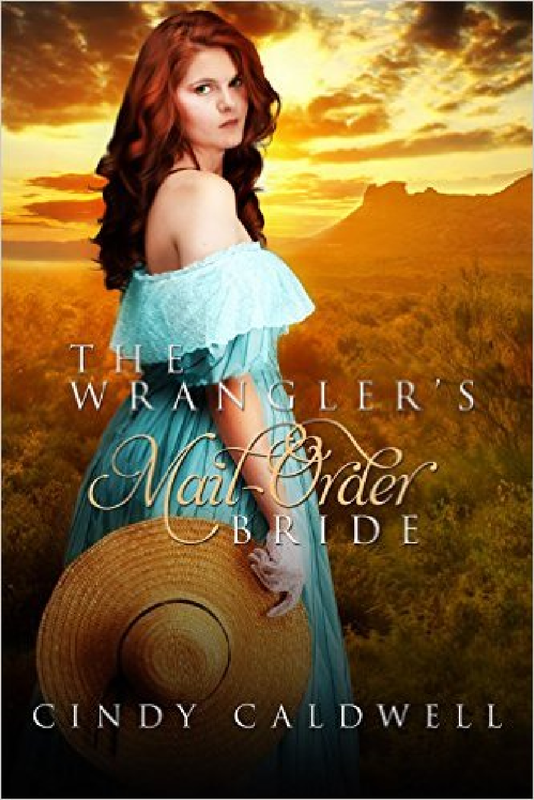 This synopsis describes The Wrangler’s Mail-Order Bride, the second book in a four book series (the other books include The Chef’s Mail-Order Bride, The Bartender’s Mail-Order Bride, and The Teacher’s Mail-Order Bride). However, even though these books are part of a series, readers can pick up any of the books and be able to follow along with the story without many questions. Caldwell does a very good job at giving just the right amount of detail to get reader’s up to speed on the series as a whole while also introducing new characters or important characters she has carried over from previous books. 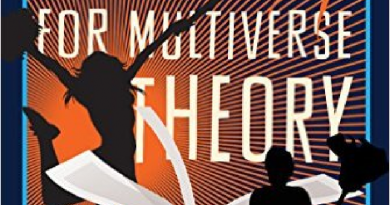 This actually hints at a very clever technique Caldwell adopted for connecting her books to one another. The Wrangler’s Mail-Order Bride itself is a clever story and an enjoyably quick read for the busybodies of the world. The story does not falter on any given scene and Caldwell keeps the story flowing in a steady-paced manner, telling Clara and Hank’s story in a short, sweet, and to the point sort of way. The story itself is intriguing and it is nice for readers to learn that Clara chose to be with Hank rather than being forced into the marriage. Caldwell’s writing style flows very smoothly and keeps the readers turning the pages. And yet, there is a downside to the quickness of the story. For the readers who love to sit down and enjoy a story, they will miss a few features from Caldwell’s novel that are lacking. The story moves quickly because there is not as much descriptive detail or extensive backstories to some of the main characters such as Clara, Hank, or Hank’s father, Beau. Some readers do not like all of the descriptive detail, but the ones who do will miss it. The conflict of the story is almost nonexistent: it is there, but it is resolved incredibly quickly (similar to the resolution of conflicts in Full House episodes) which can take away from the story a bit. 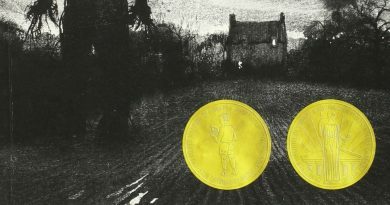 The setting of the story is very well executed once the readers discover what time period it takes place in. Readers know that the story takes place during the Wild West era; however, upon looking at a historical timeline, the Wild West era took place between a span of at least 150 years (between the mid-1700s and the late 1800s). 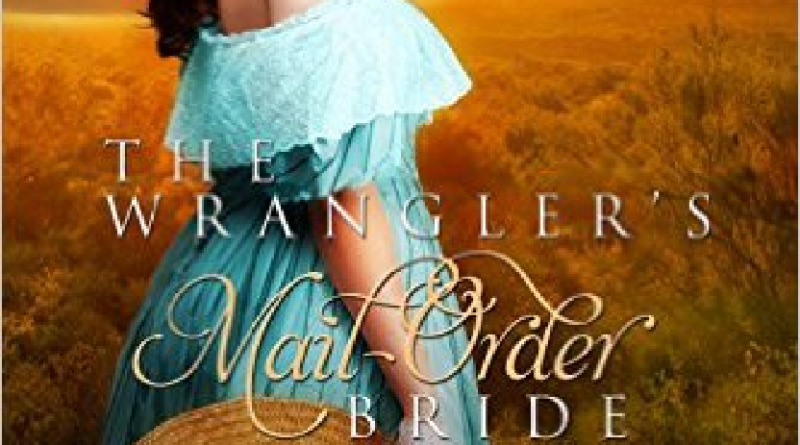 In The Wrangler’s Mail-Order Bride, it is not specified what time frame of the Wild West the story takes place in, but when a reader looks at the synopsis of the first book, they will discover the Wild West Frontier Brides series takes place in is the 1880s in Tombstone, Arizona. Character wise, many of the characters are likeable, but they don’t really sport unique personalities. The one with the most character depth is Clara and she becomes incredibly likeable to both fictional characters and readers alike: she is stubborn, yet sweet and isn’t afraid to speak the thoughts of her mind. For readers looking for a quick and entertaining read, they need look no further than Caldwell’s Wild West Frontier Brides series, though it is a series of books that connect with one another and would more than likely be enjoyed more as it is intended to be read. It is a short series and one that does not need to be read in order, so any reader can pick up at any story that catches her (or even his) interest more. Aside from the lack of descriptive detail and major story conflict, the second in Caldwell’s series is quick, yet enjoyable. The strong female lead of Clara and the smooth writing of Caldwell really keep the story moving at a nice pace and whether the readers are on a tight schedule or just enjoying a nice story, The Wrangler’s Mail-Order Bride can provide such a story.